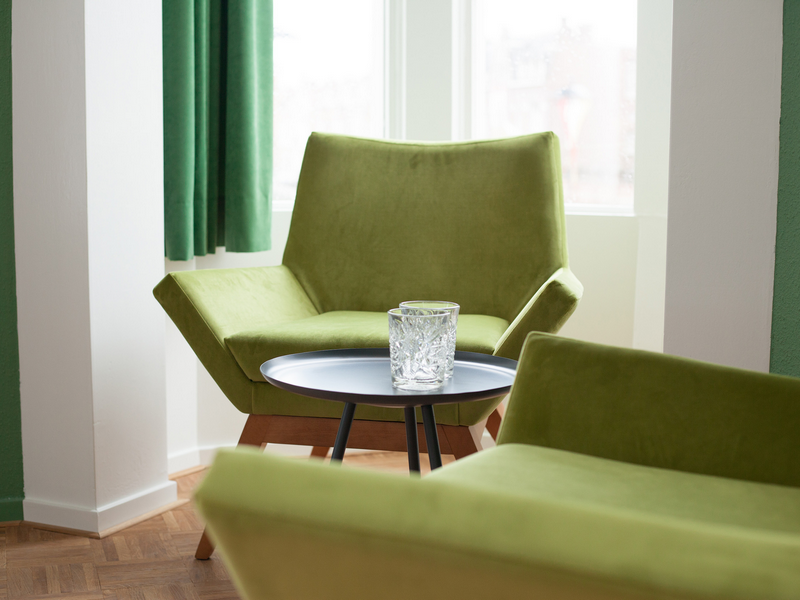 Located right in the center of Den Bosch, in a perfect spot. 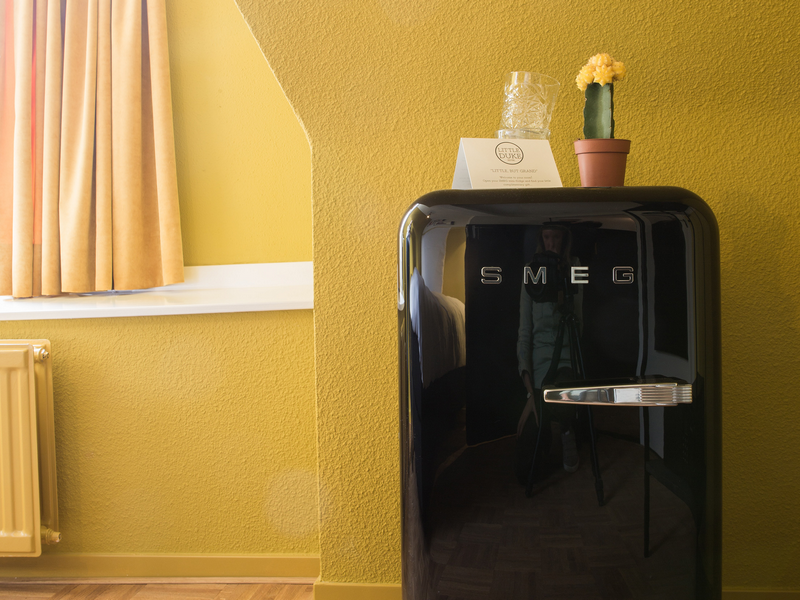 16 rooms, full of creativity. 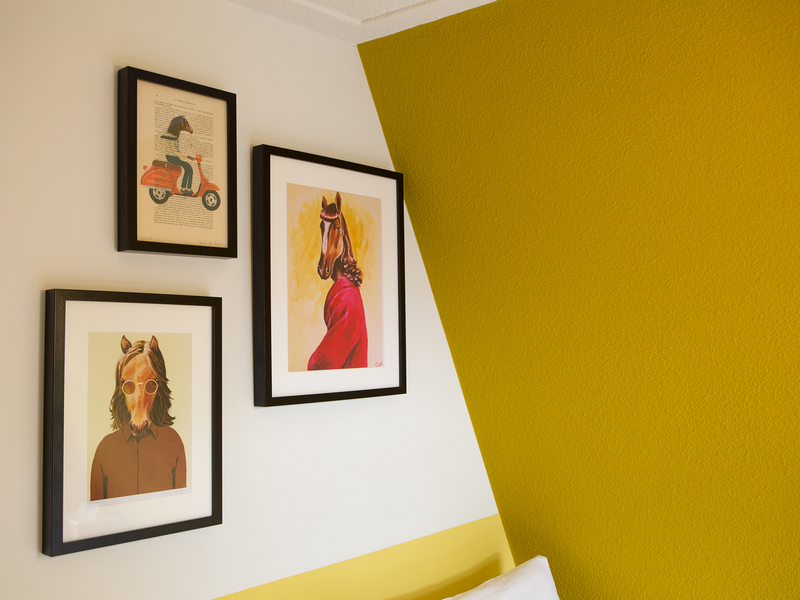 Little Duke Hotel is a brand new, young and creative hotel concept of The Duke Boutique Hotel. 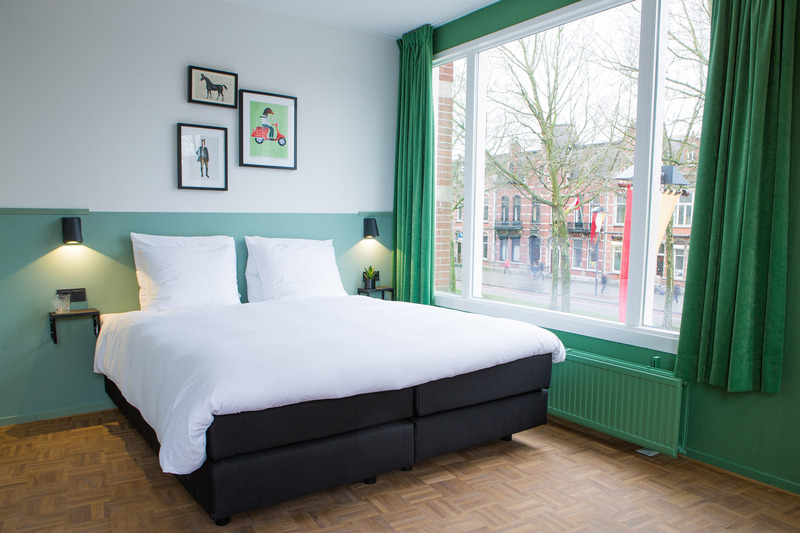 The Little Duke Hotel is located in a beautiful historic building, its central location and pleasant room rates makes it a perfect choice for a stay in the city of 's-Hertogenbosch. The Little Duke Hotel is working with self-check-in. It’s located opposite the Central Train Station, right at the roundabout with the ‘Golden Dragon’ and directly opposite the famous Bakery Jan de Groot, the bakery of the ‘Bossche Bollen’. The building was 100 years ago used as a stable, coach hire for special occasions. Little Duke Hotel has 16 rooms. They are divided over Little Rooms (12 m2), Standard Rooms (15 m2), Big Rooms (20 m2) and several Special Rooms (25 m2). 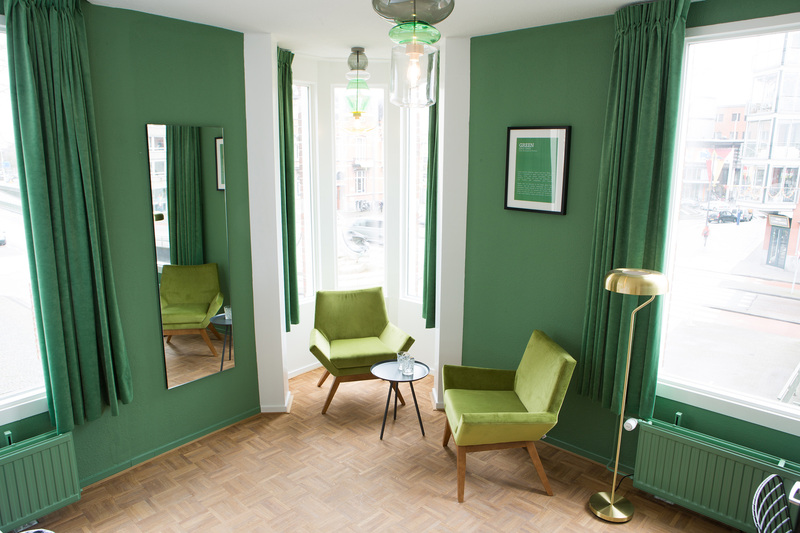 What's so nice about the Little Duke Hotel is that every room has its own character. Each and every room is different. For example, some rooms have beautiful old windows and dormers. Is one room very romantic and cozy while another room lends itself to work all day on your laptop while you look out over the beautiful city with lots of natural light or a panoramic view. 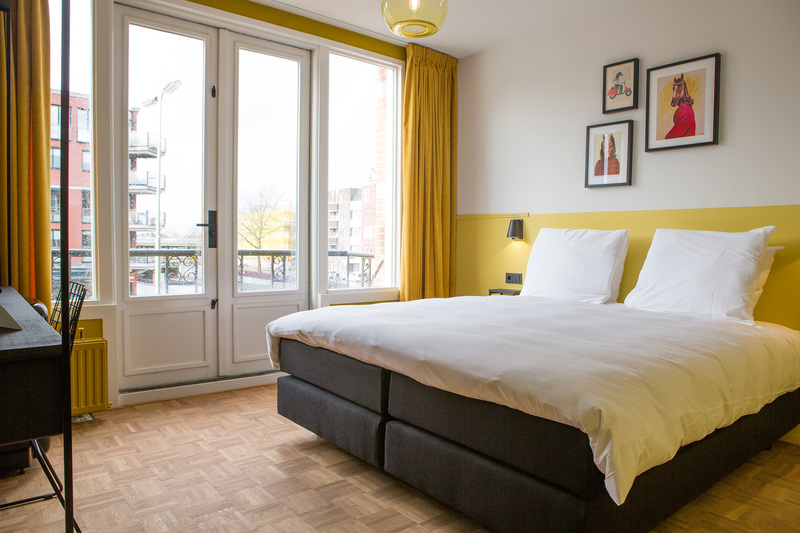 Little Duke Hotel not only makes a weekend complete but is also perfect for a business trip. So of course there is free Wi-Fi available in all rooms (no password) and do we have free Netflix to get you through the night. 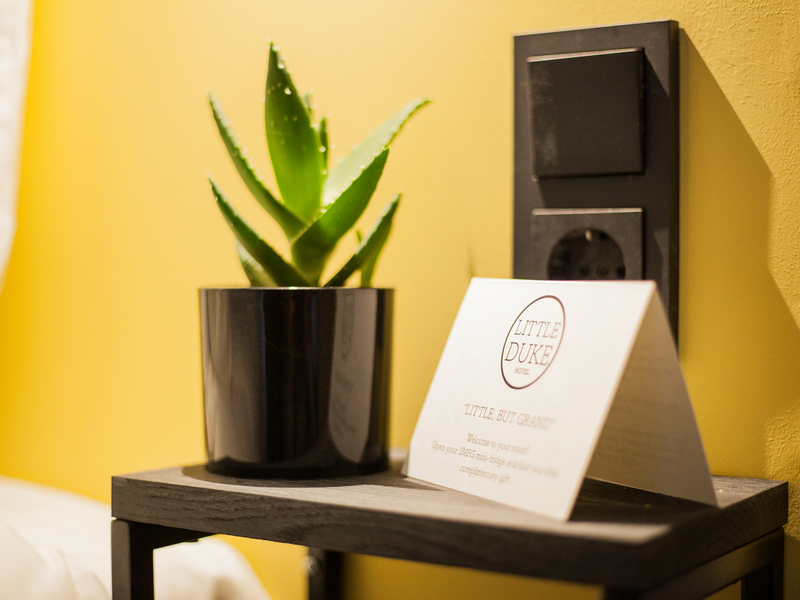 Self Check-in means you can check in on arrival at the Little Duke yourself. The check-in process is very easy and for any questions our Duke Staff is available. 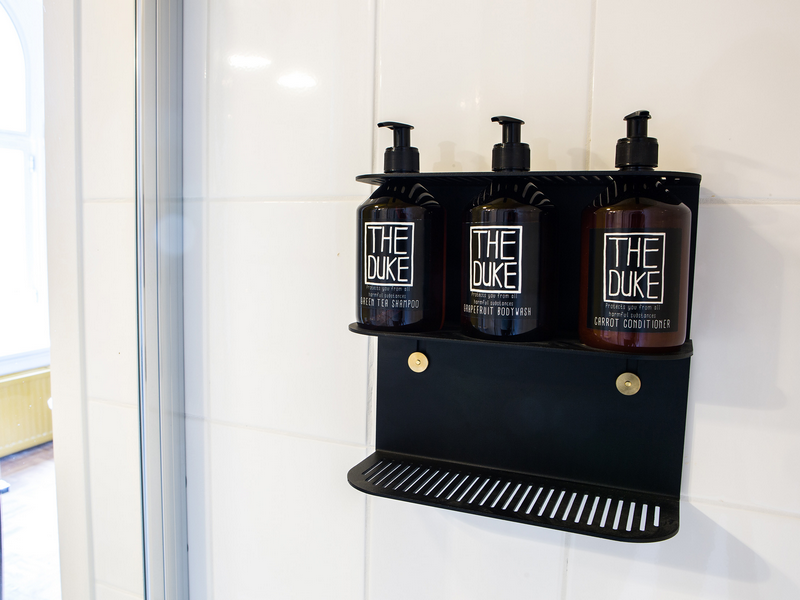 We also are located a few minutes away from The Duke Boutique Hotel. From The Duke Boutique Hotel we take care of all your personal or business administrative needs. 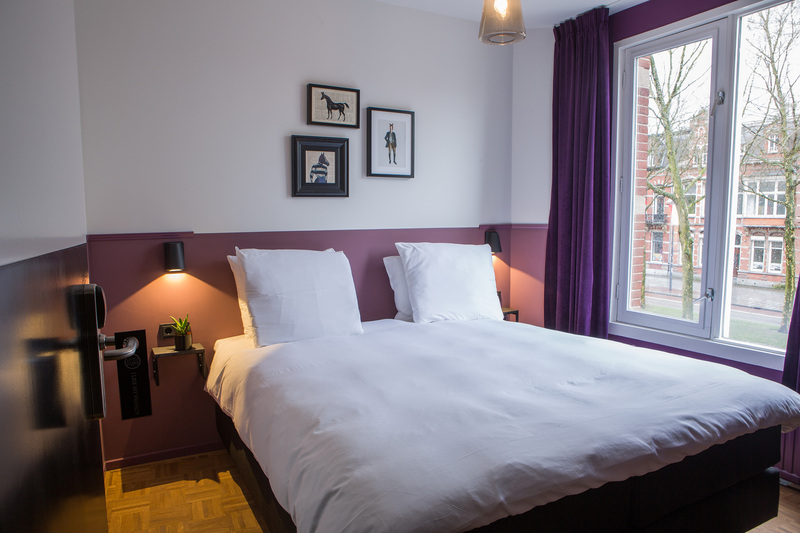 All our rooms are equipped with our luxurious and extra big Duke box-spring beds with a lovely duvet and best quality linen. 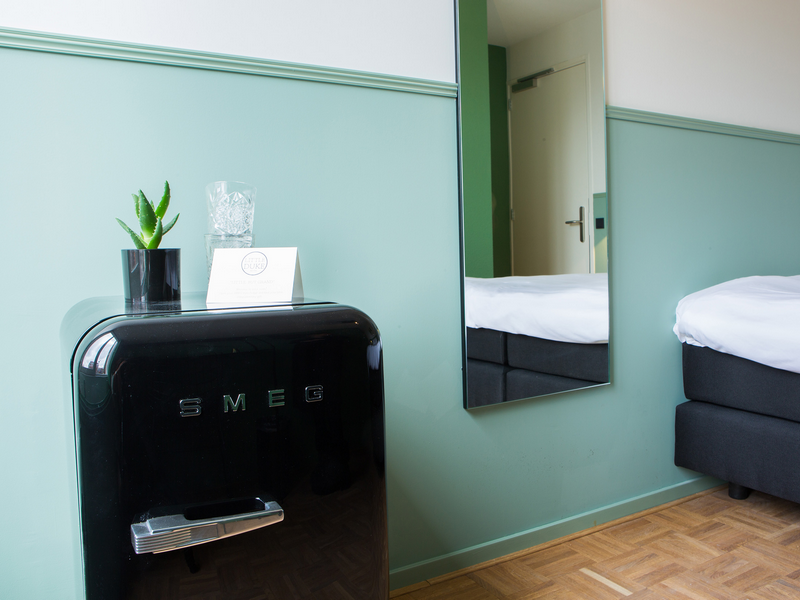 Separate bathrooms with shower, toilet, hair dryer, heated mirror and natural biological Duke Cosmetics. 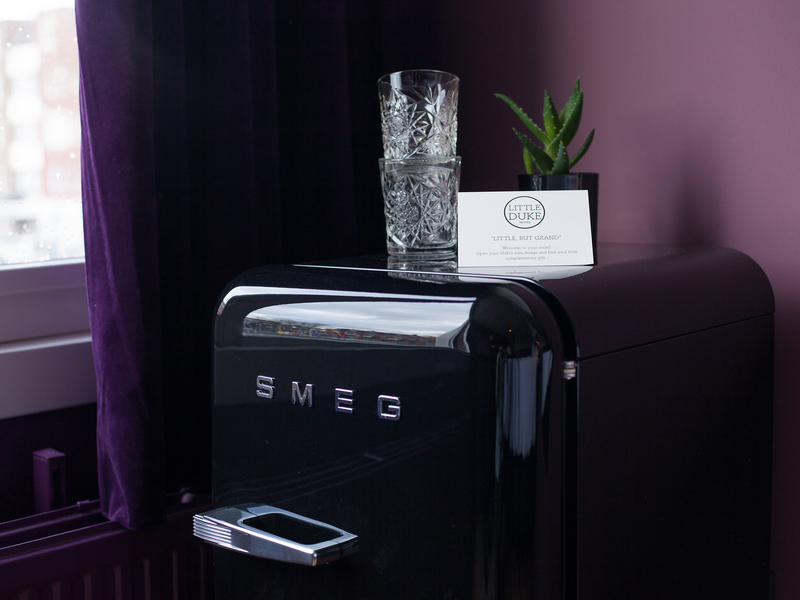 There are also a Smeg minibar, work desk, wardrobe and a nice treat ..
CoffeeLab, situated at the ground floor of our building offers great breakfast for our guests. Try their poached eggs or their yummy yoghurt bowls with granola, seeds and fresh fruits. 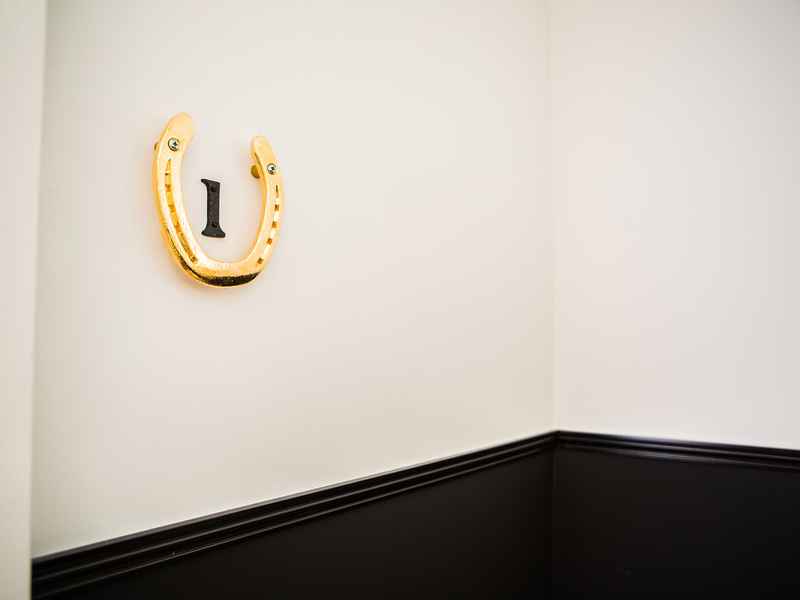 Little Duke Guests are welcome to enjoy breakfast, lunch, special coffees, tea or a glass of fine wine. CoffeeLab also lends itself perfectly to spend the day with your laptop to work or to leave your luggage and shopping bags there if you're going into town after checking out. Want to learn about the different room type’s click HERE. You want to be guaranteed of a room? BOOK NOW! At CoffeeLab downstairs, you can enjoy a great breakfast, lunch, coffee, wines and snacks or bring your laptop and do some work while having the best coffee and a great cityview. Our Sunday rates are very budget friendly! This is your chance to book one of our beautiful Special Rooms. Who do you take with you? Enjoy your stay! 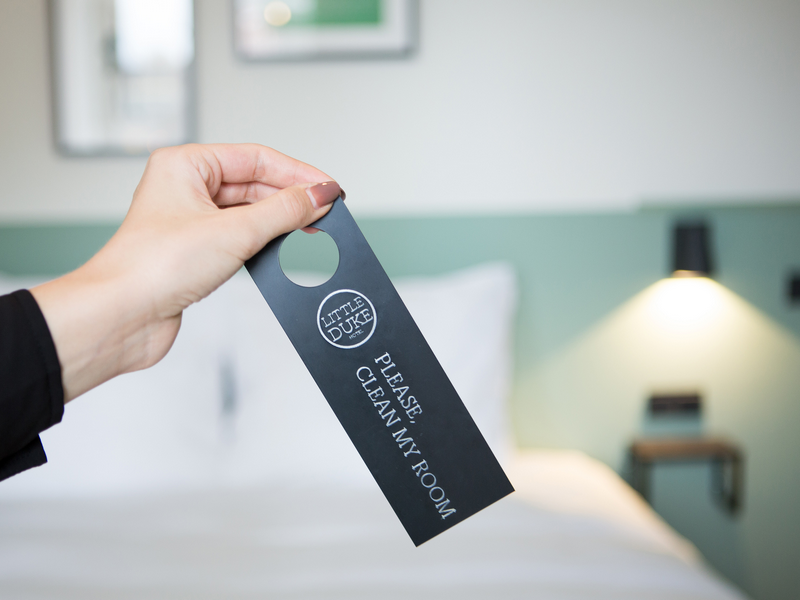 We offer you the best room rate. Found a lower rate somewhere else, within 24 hours? We compensate the difference. Only direct bookers are privileged to enjoy a complimentary upgrade when available. We like you to feel special.